This is a FSPS event. Children 3 and under FREE if sitting on parents’ lap. 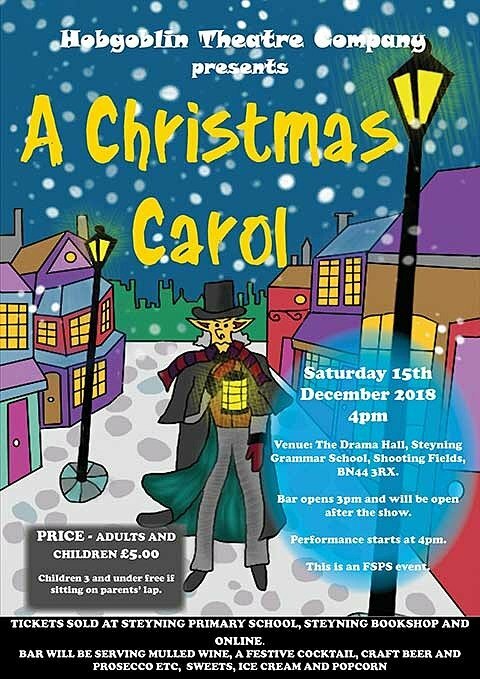 Tickets sold at Steyning Primary School, The Steyning Bookshop and online. Bar opens 15:00 and will be serving mulled wine, a festive cocktail, Craft beer and Prosecco etc, sweets, ice cream, popcorn and will be open after the show.